The heart-warming image of the Olympic Refugee Team entering the Maracana Stadium last Friday was a special moment, but 77,000 Brazilian residents have themselves been displaced as a result of the Games. The Rio 2016 Games are the first to have a team of refugees compete, in recognition of the 60 million refugees around the world. 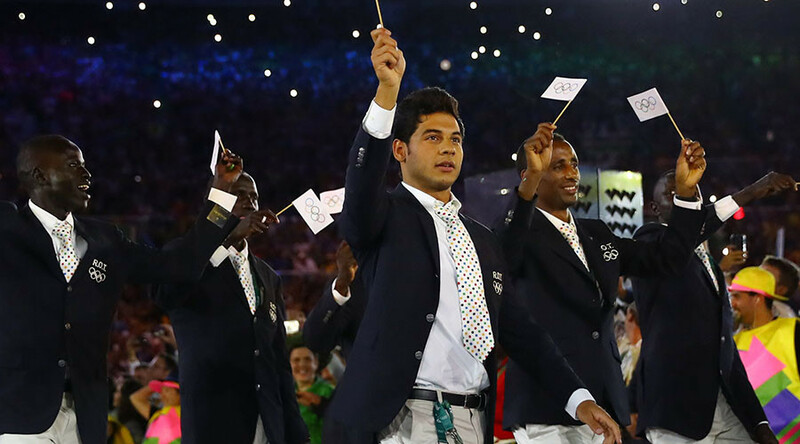 Athletes from Syria, South Sudan, Ethiopia, and the Democratic Republic of Congo were chosen to represent the refugee team, which has been handed a group of coaches and support staff to help them during the Games. International Olympic Committee (IOC) President Thomas Bach heralded the refugee team. “These refugees have no home, no team, no flag, no national anthem,” he said. “We will offer them a home in the Olympic Village together with all the athletes of the word. The Olympic anthem will be played in their honor and the Olympic flag will lead them into the Olympic Stadium. Although the Olympics may offer a handful of refugees a temporary home in Brazil, the event itself has directly forced around 77,000 Brazilian natives from their homes to make way for infrastructure. As was the case in the football World Cup in 2014, protesters opposed the hosting of a major sporting event in Brazil – mainly due to the country’s dire economic situation and the social issues that ravage the nation. One of the main reasons for opposition to the 2016 Olympics has been the creation of IDPs, internally displaced persons, in Brazil. Among the worst-affected areas was the poverty-stricken Rio suburb of Vila Autodromo, where residents were forcibly removed from their homes. The infrastructure upgrade to Vila Autodromo will drive development projects including plush apartment buildings, but serves as a sardonic reminder to poor families that they have been forced out of their homes.